This map is generated by Instagrammers on campus using the #AnimalOSU tag. If you have a public Instagram account, your #AnimalOSU tagged photos will appear on this map as long as you click “add location” and select an OSU main campus place recognized by Instagram. 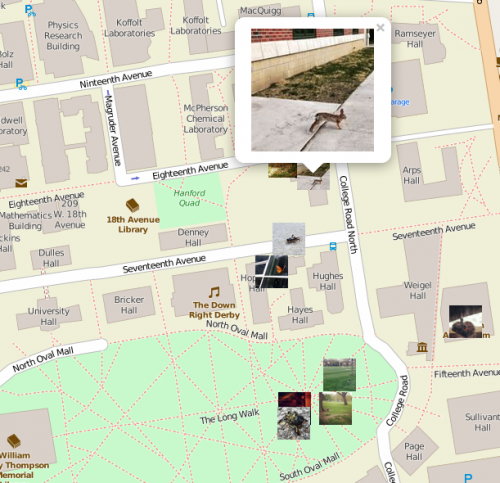 Please join us in developing this photo map of animals and their locations on campus. The BioPresence team wanted to be able to see the trends around which animals are seen where and to raise awareness that they are here on campus with us. Involving students, faculty and staff who are already taking photos and posting them on Instagram, means we have the potential for a wide variety of images and locations. We also hope this effort encourages our community to participate in this project of noticing the other-than-human animals we share space with. Matt Lewis, a BioPresence team member and Senior Systems Developer/Engineer at the Advanced Computing Center for the Arts and Design, has done the programming work to create this map. 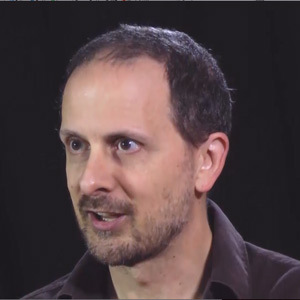 Click here to open the video that shows Matt working in his lab and talking about his hopes for the project.